Real Madrid successfully grabbed another important victory in La Liga after beating Rayo Vallecano with a goal from Cristiano Ronaldo, the result obviously pleasing for the Galacticos’ coach, Jose Mourinho, but he admitted that it was a rather fortunate win for them. Mourinho gives lots of credit for Vallecano, who in his eyes actually deserved a point from the game, considering the positive attitude that the home side showed. The Portuguese tactician added that his side’s strong focus in the defense is pretty much what brought them the three points as they were forced to defend tightly by Vallecano especially from set pieces, who simply troubled Madrid all day long. Mourinho also revealed his disappointment about his team’s failure in closing the game after taking the lead, especially since there were many space and chances coming from their counter attacking setup. Aside revealing his relief with the ‘lucky’ victory, Mourinho also commented about the lack of away support that his Madrid get from their devotees. Having only around 300 fans arriving at Vallecano stadium apparently wasn’t enough for the Porguese coach, since in previous games the low fans affection was also visible in the former Chelsea’s manager. The “Special One” believed that considering the game against Vallecano was held still in the Madrid region, more support should arrives for Los Galacticos. Mourinho simply believes that the fans should give something more for the club especially in their away trip, especially since Madrid have been successfully leading the La Liga at the moment with 10 points ahead of Barcelona. It seems that some fans might still be disappointed since the Los Galacticos haven’t beat their Catalan rival in a direct meeting this season as just yet, this situation usually is very important for Madridistas, who always had a fierce relationship with the Blaurgrana. “I’m sad only 300 of our fans were here given that we’re still in Madrid. We’re leaders and only 30 people came to see us in Getafe and 300 in Vallecas. 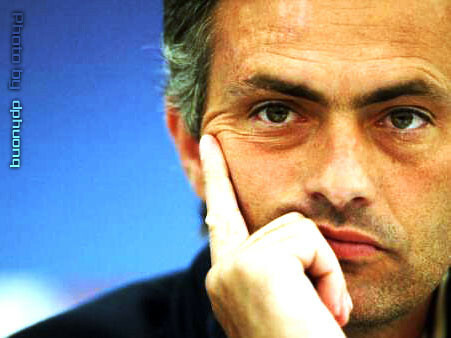 We have a shared objective with our supporters and they should give us a little more,” Mourinho added.